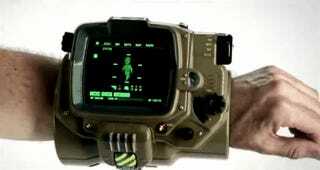 The Fallout 4 Pip-Boy edition is back in stock at Gamestop, for all 3 platforms. Additionally, Walmart also has it in stock for the PS4 and Xbox One as of this writing, as does Best Buy. All retail for about $119, if you’re interested. Get em while they last.